Turkish international winger who won a Super Lig title with Galatasaray in 2008. He also won two La Liga titles, one with Atletico Madrid in 2014 and another with Barcelona in 2016. He made his professional debut with Galatasaray in 2006 after five seasons playing in the squad's youth ranks. He scored four goals for Turkey during the UEFA Euro 2012, but was unable to lead the team to the finals. He became engaged to Turkish actress Sinem Kobal, but the two called off the wedding. 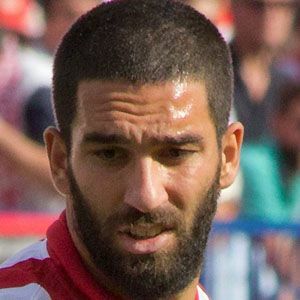 He was joined by fellow winger Dani Aquino on Atletico Madrid in 2013.